Home » Data Science » Blog » Data Analytics Basics » What is Predictive Analytics? Nowadays, it has become a challenge for many organizations to tackle huge volume of data and to study the customer behavior, sales trend, and many other factors to assess the market in order to operate in an effective way and to generate more revenue. To achieve the goals, organizations rely on different tools and techniques to get accurate data. 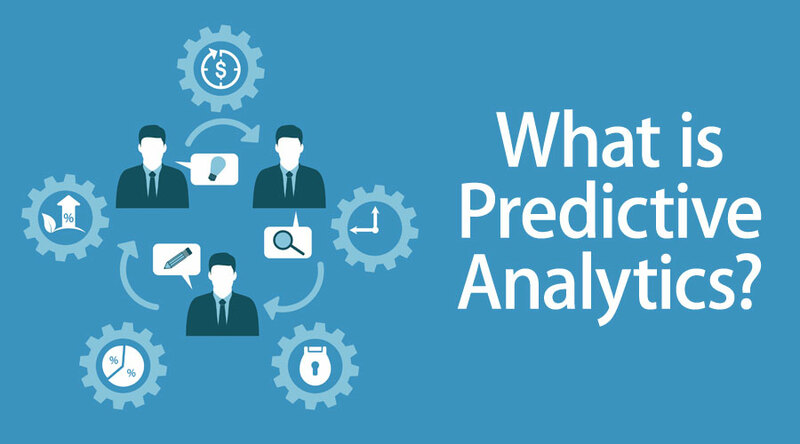 Predictive Analytics is a tool which uses different techniques to predict future events to identify risks and opportunities for organizations. Predictive analytics is a form of advanced analytics, which uses techniques like data mining, machine learning, and artificial intelligence to provide predictions for future events from the patterns found in historical and transactional data. It incorporates the above techniques with modeling business process, management, and information technology. Let us take an example of a certain organization which wants to know what will be its profit after a few years in the business given the current trends in sales, customer base in different locations, etc. Predictive analytics will use the variables given and using techniques such as data mining, artificial intelligence would predict the future profit or any other factor that the organization is interested in. How does Predictive Analytics make working so easy? Predictive Analytics is nowadays used in the field of business analysis for optimizing campaigning in marketing, forecasting to improve operations which effectively help in reducing risks by using interactive and easy to use the software. It makes the working of the organizations easier by providing them the foresight to calculate the risks and take decisions to avoid them. What can you do with Predictive Analytics? It provides the easy use of the tools used for analysis as they are easily accessible by the business analysts. It provides a different approach other than data mining, by providing faster analysis, gives more importance to prediction rather than the description of data. It transforms the raw data to provide more information and insights. Predictive analytics consists of advanced analytics and decision optimization. Advanced analytics is studying data from past to project future actions related to specific issues of the organization. It uses statistical, mathematical and many other algorithms which are complex in nature and from this analysis the result is taken as insight to determine the actions to achieve optimal results. The actions derived along with the necessary information are provided to the system or analysts for implementation. It improves decision making by measuring the uncertainties which enable proactive risk management. By using predictive analytics in operation systems, organizations are able to achieve cost reduction, improvement in process and an increase in revenue. The advantages of Predictive Analytics are as below. Risk Reduction: Insurance and Finance industry use predictive analysis to reduce risk by taking sensible and effective decisions by validation of a person or business based on the data available. Fraud Detection: Predictive analysis can track changes in the behavior patterns within a network or site by detecting anomalies which might indicate fraud or threat. Competitive Advantage: Predictive Analytics provides insight into valuable information like customer data to have an advantage over other competitors. Efficiency in Production: Industries like production and manufacturing can forecast for inventory, production rates, and potential failures. Predictive analysis requires a proactive mindset so as to think about the outcomes. Understanding the basics of some of the popular predictive techniques such as regression or decision tree will be immensely useful. Another skill which comes in to picture is thinking critically about variables i.e. understanding the attributes, interpreting results, and validation of models. Apart from all the above, understanding the tools and technique used in the process is also helpful. Why should we use Predictive Analytics? It analyzes a huge volume of data to show many key points in a business, which helps the organization in understanding their areas of strength and weakness. It helps in identifying future patterns, which can be very useful for an organization in understanding the customer needs better, to improve their marketing, etc. In a competitive and complex environment, it simplifies the tasks by providing automation such as keeping two different teams in sync by notifying each about the status of the other. Predictive Analytics can work effectively in minimizing many issues faced on a regular basis. For example, a predictive model can efficiently provide the biometrics of an individual for identification in the maintenance of anti-theft. It can provide alternatives in predicting the best routes to resolve traffic issues. Also, it can suggest new hotels or restaurants by a recommendation system by studying the past preferences of a customer. Why do we need Predictive Analytics? It not only just provides an evaluation from the past data, but it can also be used to learn from past experiences, recognizing patterns and trends to project unforeseeable future possibilities. It takes the decision making ahead of just reporting valuable insights by providing scores which are designed specifically to suggest actions. Who is the right audience for learning Predictive Analytics technologies? Predictive Analytics is used in Marketing and Advertising to predict the patterns in data to achieve many goals in an organization. It is important for Business and Data Analysts who are directly involved with the above industries, to understand and apply this technique. With the emerging Big Data, where data grows every second and the need to analyze it, increases more than ever. Organizations are rapidly moving towards collecting the huge volume of data to predict patterns in data for their growth. So with predictive analytics, one is sure to have very good career growth. Predictive Analytics is recommendable for its advantages for organizations vitally dependent on analysis of the huge volume of data. The organizations can go ahead with it to achieve their goals and generate more revenue on the insights provided by this technique.